SALE! 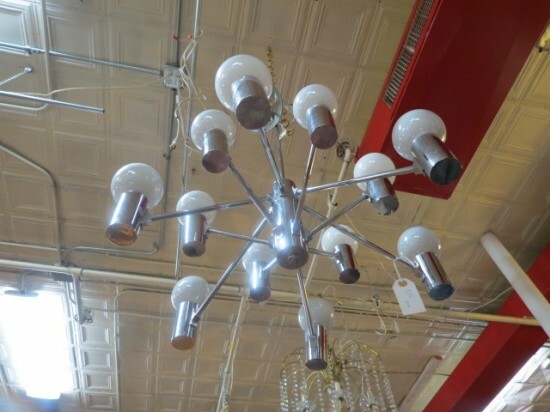 Was $545, now $380. 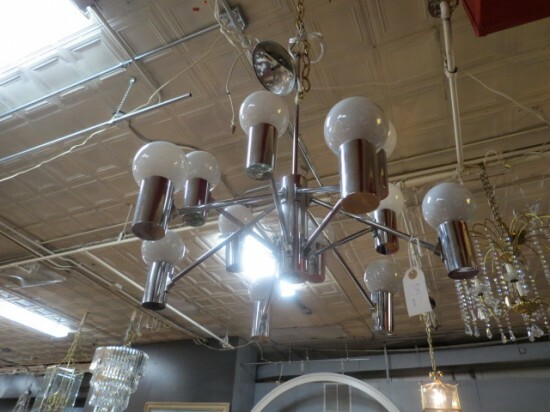 Vintage mid century modern 12 arm chrome chandelier, circa 1970. 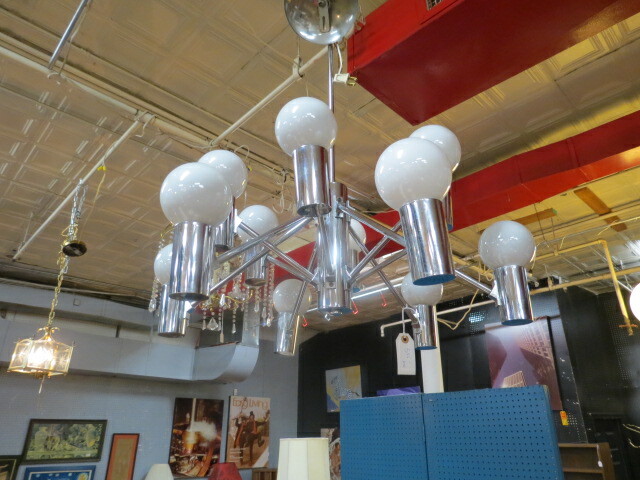 Two tiers of chrome arms holding 12 globe ball lights. 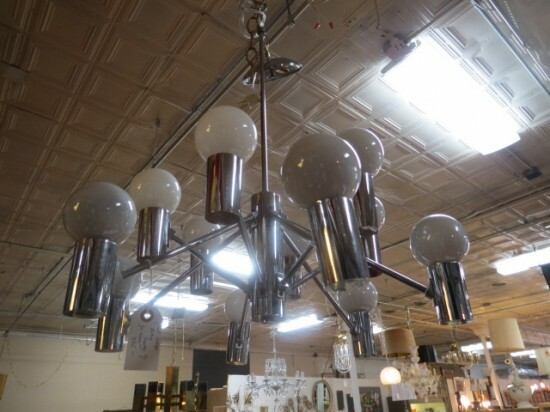 Add some light to your dining room. Excellent condition. Measures 12” tall and 22” wide.